Adapted from Native American story Why Clouds Are In The Sky - The world was new, and everything was good. The creator had made the clouds, putting food in them for the people to eat. Imagine any food you desire. Reach up and pull it down from the sky. But, what happens when people begin to waste the free food? Find out why people have to work for their food today in this whimsical story by Dr. Mike Lockett. 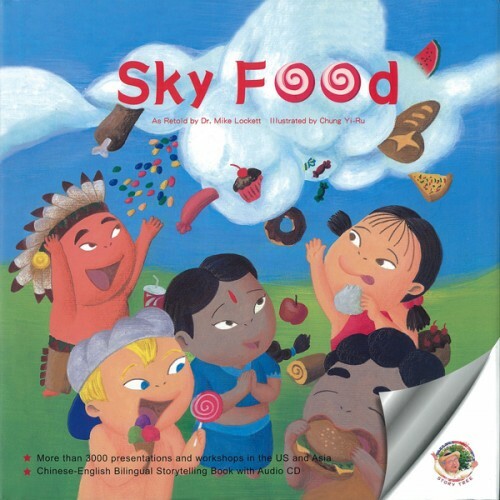 Sky food is in a bilingual format with English on one side and Chinese on the other. Each book includes an audio CD of the story told in both languages. Adapted from the African folktale of Anansi and the River Spirits - Anansi first appeared in West African folktales and traveled with the African culture to every part of the earth. Children and adults everywhere like to read about Anansi. Sometimes appearing as a spider, sometimes as a man - Anansi is always entertaining. Anansi is intelligent. However, his greed sometimes causes odd things to happen to him and to those around him. This story tells how Anansi causes all spiders to have a small head and a very large bottom. Each book includes an audio CD of the story told in both languages. 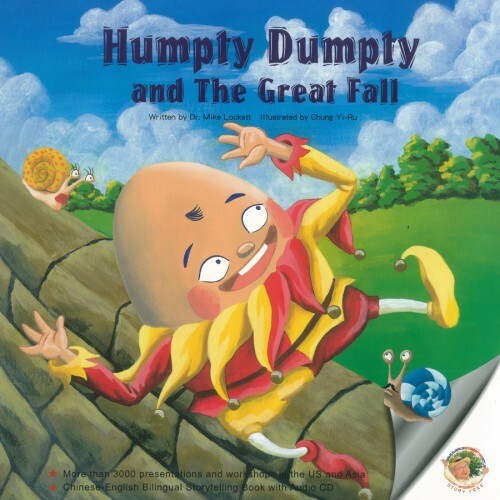 Humpty Dumpty is in a bilingual format with English on one side and Chinese on the other. ) You have heard that All the King's horses and all the King's men couldn't put Humpty together again. Not So! Humpty Dumpty is filled with family words, animal words, color words, direction words and more in order to help developing readers enjoy this love filled story. Read Humpty to find out how family love helped put Humpty together again and keep him off that wall. *Endorsed by former president of the International Reading Association. Each book includes an audio CD of the story told in both languages. 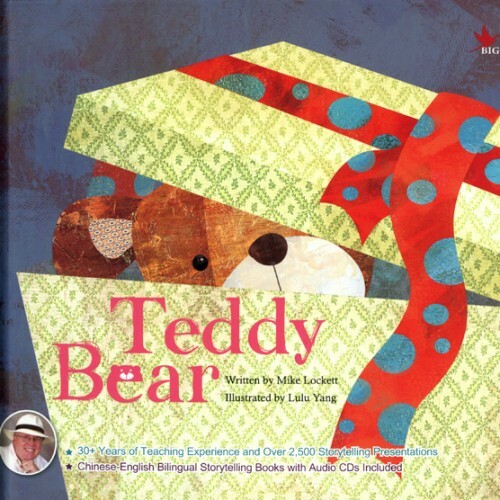 Based on the popular children's song, "Teddy Bear, Teddy Bear Turn Around," this book tells the story about a lonely bear on the toy store shelf. All he wants is to be held and loved by a young child. The book is an easy-to-read fiction story. It is appropriate for a read-aloud for pre-kindergarten and kindergarten students and an independent reader for grades one and two. An audio CD comes with the book to help younger students and English language learners follow the story on their own. Teddy Bear is in a bilingual format with English on one side and Chinese on the other. Dr. Mike Lockett used the format of a cumulative story to create the plot for this fun-filled story that is based on a little known Mother Goose poem. The story is predictable and has repetition that make it a popular read-aloud book for pre-kindergarten and kindergarten students and an independent reader for grades one and two. Illustrations by Taiwanese artist, Lulu Yang, bring the story to life. Younger students enjoy taking a picture walk through the story well before they can read the words. An audio CD comes with the book to help younger students and English language learners follow the story on their own. 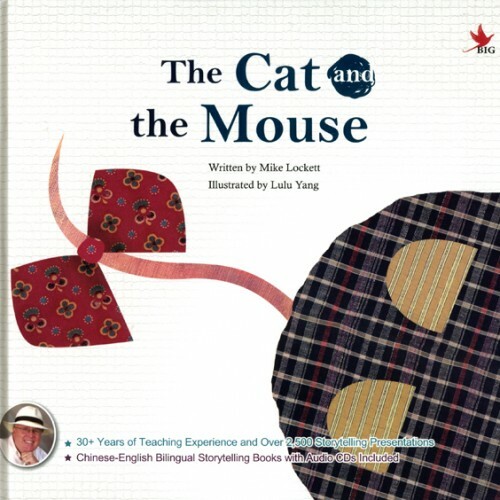 The Cat and the Mouse is in a bilingual format with English on one side and Chinese on the other. Did you ever wonder why Mary had a little lamb instead of a dog or a cat or another pet? Educator and International storyteller, Dr. Mike Lockett, tells the answer to this question in story form to listeners of all ages in his programs at schools, libraries, churches and festivals and more. 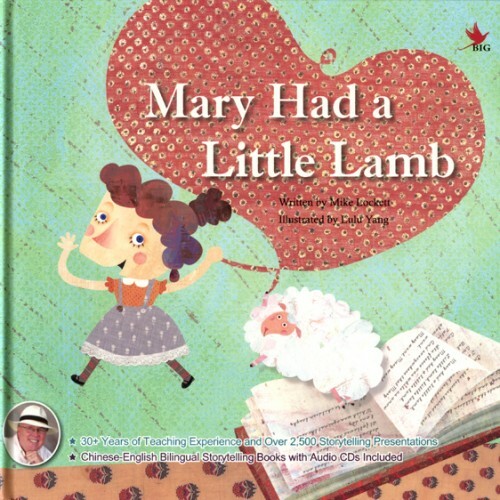 Now, Individuals can now read the story for themselves in Mary Had a Little Lamb, written by Dr. Lockett and illustrated by Lulu Yang. The book is bilingual, in English and Chinese. 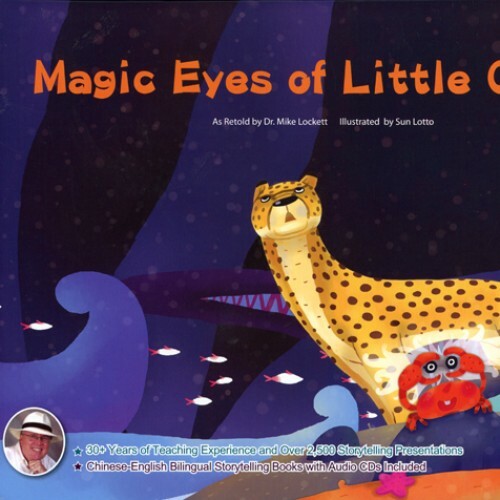 An audio CD comes with the book to help younger students and English language learners follow the story. Have you ever dreamed of becoming tiny like a mouse? What would you do if this happened? 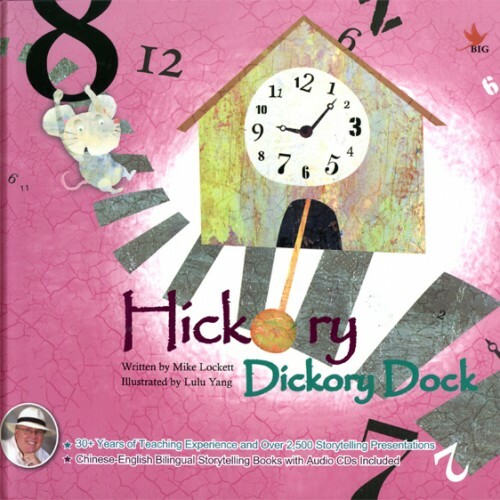 Educator and International Storyteller, Dr. Mike Lockett, created an imaginative tale based on the popular Mother Goose poem Hickory Dickory Dock. The story is told in verse with rhyme and rhythm that make it delightful for young ears. Hickory Dickory Dock is perfect for use in Pre-K through second grade classrooms. The illustrations by Lulu Yang bring readers back to the book to look at it and read it again and again. Little Crab plays a special "eye sailing" game. He is able to magically pop his eyes out of his head and send them flying across the beach and into the ocean. The plot thickens when Jaguar wants to know what Little Crab sees under the water. Illustrator, Sun Lotto, from Taiwan, adds colorful depictions of the creatures beneath the seas that Little Crab and Jaguar see when their eyes go sailing. The book is an easy-to-read fiction story. It is appropriate for a read-aloud for pre-kindergarten through first grade and an independent reader for grades two and three. An audio CD comes with the book to help readers follow the story on their own. Magic Eyes is in a bilingual format with English on one side and Chinese on the other. Based on an African folktale, this book tells the story about Monkey and Rabbit and their bad habits. Monkey is always scratching. Rabbit is always sniffing and wiggling. The two have a contest to see who can sit still the longest as they try to get rid of their bad habits. Taiwanese illustrator, Ming-Jen Hsu brings a wonderful look to the story by adding animal onlookers to the jungle contest. The book is an easy-to-read fiction story. It is appropriate for a read-aloud for pre-kindergarten through first grade and an independent reader for grades two and three. An audio CD comes with the book to help younger students and English language learners follow the story on their own. 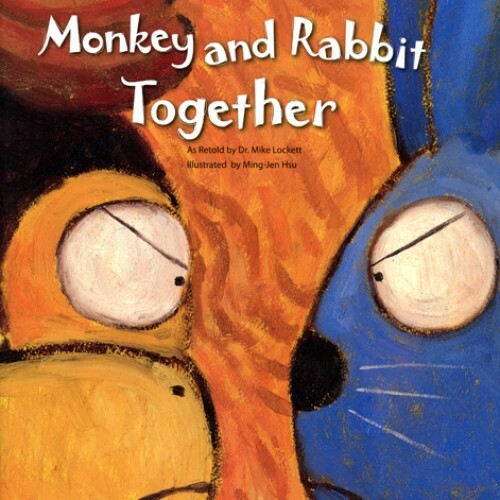 Monkey and Rabbit is in a bilingual format with English on one side and Chinese on the other.